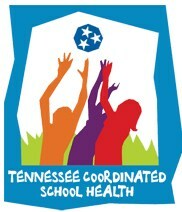 Collierville Schools follows the TN Department of Education's Coordinated School Health Approach to ensure all Collierville Schools students remain healthy and able to fully participate in all educational opportunities. Each school has a Healthy School Team which utilizes faculty and staff who are considered experts in each component so that they able to capture a comprehensive snapshot of the school environment. After assessing the needs of the school, as a team, the school will develop a plan to not only address the weaknesses, but also highlight its strengths. Healthy School Teams promote healthy schools and encourage healthy behaviors, for students, faculty and families. It's important for all students to be healthy and active and our Physical Education teachers help our students learn to enjoy everyday activities that will help them achieve life-long health. Select PE Teachers attend the annual TAPHERD Conference each year to learn the newest ideas to use in the gyms and classroom. Check out Coach William's Website! Coach Crystal Williams is an awesome PE teacher and shares her knowledge on her new website! The Family Life, Healthy Living Curriculum is aimed at reaching life-long personal health and wellness skills such as building healthy interpersonal relationships, personal safety, goal-setting and decision-making and communicable disease prevention. The 2016-2017 school year will use a week-long curriculum that will cover all TN State Standards. The curriculum outlines are below. During the hot summer and early fall months, Collierville Schools is always cautious about outdoor activity. Below are the TSSAA policies we follow to keep all students safe in the heat. Nutrition Nuggets and Home & School are monthly newsletters for parents and students with tips for healthy living.